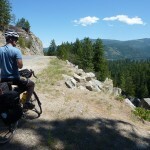 Stampede and Tacoma Pass Loop is a perfect way to take advantage of forest service gravel roads. 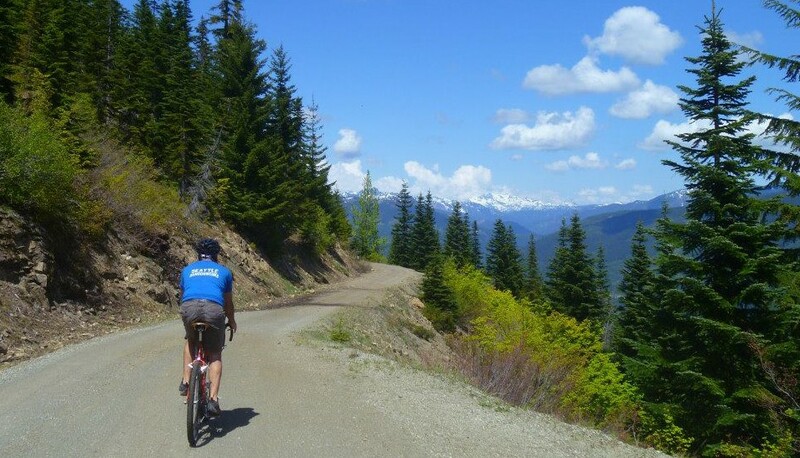 It features challenging climbs, beautiful mountain vistas, an awesome sense of adventure, and 100-percent gravel and dirt roads and trail from start to finish. 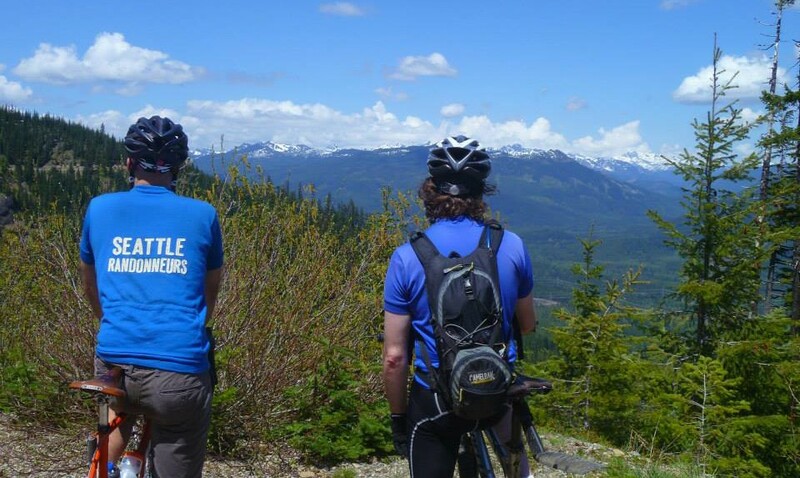 Find more bicycle adventures on the Where to Ride page. Notes: No water or services on route. Navigation skills required. Washington’s modern history is inextricably tied to the logging. Timber was, for a time, the state’s economic driver and the immense trees that once covered the land west of the Cascades helped give rise to Seattle. Decades later, timber’s predominance has diminished, but for adventurous cyclists one critical legacy lives on: forest roads. There are tens of thousands of miles of gravel roads crisscrossing mountains and valleys just waiting to be explored. 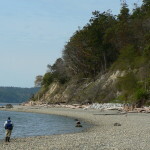 Just an hour drive from Seattle, the Stampede-Tacoma Pass Loop is a perfect way to take advantage of those gravel roads. 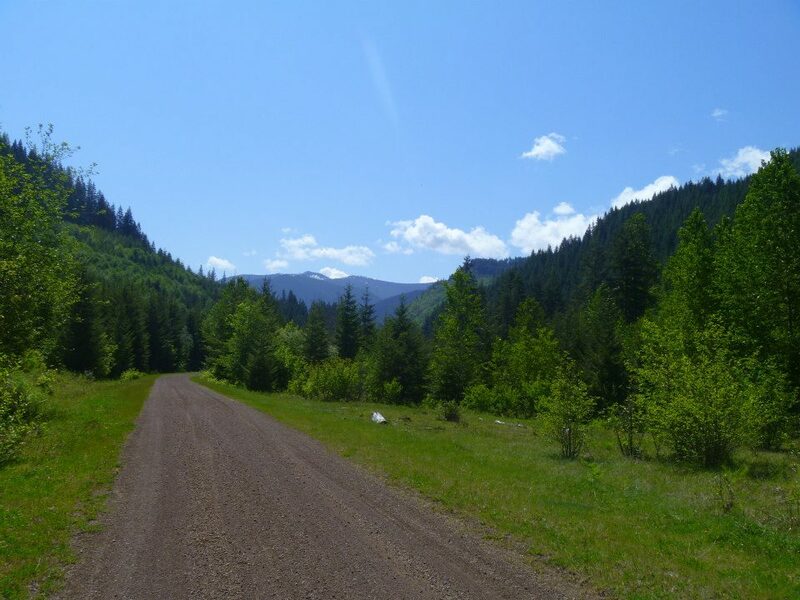 It features challenging climbs, beautiful mountain vistas, an awesome sense of adventure, and 100-percent gravel and dirt roads and trail from start to finish. 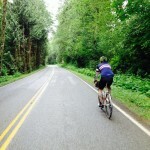 The ride is doable on a road bike with at least 32c tires. Some people might enjoy the grip of cyclocross knobbies on the steeper climbs. A mountain bike would be overkill. Park your car in the Iron Horse Trailhead lot in Hyak (Discover Pass required). There are bathrooms in the trailhead lot, but no water. In fact, there are no services along the route, so you either need to pack enough food and water to make it through the whole ride or bring a water filter to refill and purify water from the Green River. While we’re on the subject, navigation can be tricky and the roads aren’t super well marked. You’ll need a good GPS device or a good map (Green Trails maps #207 and #239 cover the route). The ride starts with an easy, nearly-flat warm up on the Iron Horse Trail. 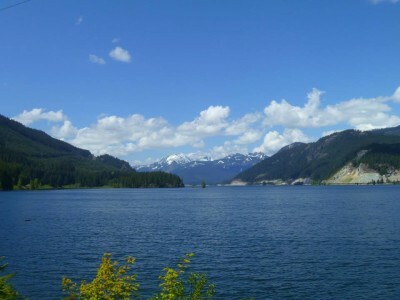 As you ride east on the trail you’ll traverse the shores of Keechelus Lake. The views are far better at bike speed than passing by on I-90 at 70 mph as you’ve likely done before. After 7.7 miles, take a right on NF-54, aka Stampede Pass Road. This is where the adventure starts! Stampede Pass Road winds its way uphill for 3.3 miles with a few steep pitches thrown in to keep things interesting. Enjoy the great mountain views as you climb. Stampede Pass itself is inauspicious and unmarked, but don’t worry, there are plenty of great views to come. 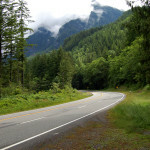 Continue for 5 miles on Stampede Pass Rd/NF-54 as it switchbacks its way down a fun descent into the Green River Valley. On clear day, you can see Rainier peeking over the ridgeline from the south side of Stampede Pass. As you reach the bottom of the descent, NF-54 becomes NF-5400. 5400 is just east of the Seattle watershed boundary. Stay on route because public access to the watershed is forbidden and you can receive a fine for trespassing! At mile 19.6, take a sharp left onto NF-52. If you hit the Lester Airport you’ve gone too far. 52 is an awesome, smooth dirt road that parallels the Green River. There are a few punch descents and climbs mixed in, but mostly it stays flat. Around mile 22.5 you’ll start seeing primitive campsites along the river. This is a good place to stop and refill bottles if you brought a water filter. It’s also a nice place to rest and fuel up before you start climbing back out of the valley towards Tacoma Pass. Just after mile 24, the road comes to a Y. Stay left to continue on NF-52 (also called NF-5200). Drop it into an easy gear and settle in, you’ll be climbing for the better part of the next 10 miles! The climb up to Tacoma Pass is a bit of a grunt, but as is often the case with big climbs around here, the views are occasionally fantastic. You’ll get views of the jagged, snow-capped peaks east of Snoqualmie Pass and expansive looks at the valleys you’re climbing away from. There will be smaller, more-primitive roads to your left and right at various points, but stay the course on NF-52. At mile 28.3 take a sharp left to stay on 52. After another .6 miles of steep climbing you’ll come to a T. Go right to stay on 52 and enjoy a brief reprieve from climbing as you cross Tacoma Pass. Again, there are no fancy signs telling you you’re at the pass, but you will cross the Pacific Crest Trail! It’s probably for the best as you still have a good 700 feet of climbing to go to get back to NF-54. At mile 30.6, NF-52 merges with NF-41. Take a gentle left to continue north on NF-41. As with 52, there will be some roads branching off of 41, but stay on 41. When you reach mile 33.5, have a little celebration in your mind. You’re done with the real climbing for a day. There are a few punchy rollers ahead, but the sustained climbing is finished! Don’t turn your brain off, however, as there’s still plenty of navigating to be done. At mile 33.6 hang a left and then another immediate left to stay on 41. At 34.8 take a sharp right. At 36.8 take a left to stay on NF-41. At mile 38.4 you’ll drop back into familiar territory on NF-54. Hang a right to retrace your steps down the north side of Stampede Pass towards the Iron Horse. This is a super fun descent with sweeping corners and sweeping views that you may not have noticed while sweating up the hill earlier in the day. When you hit the Iron Horse Trail, take a left and cruise on down those the final 7.7 miles back to your car. This article was posted in Adventure, News, Rides, Rural, Tourism, Travel. Bookmark the permalink. Follow comments with the RSS feed for this post. Both comments and trackbacks are closed.